In the current business climate, there is always a need to have a vibrant website from where you can carry out your marketing and provide sound customer service. When it comes to choosing a design, WordPress sites are becoming more and more popular. WordPress, simply offers a variety of flexibility in your website design and day to day operation. A custom WordPress website gives you the best of both words. You get the simplicity of WordPress, but with a design that is your own. 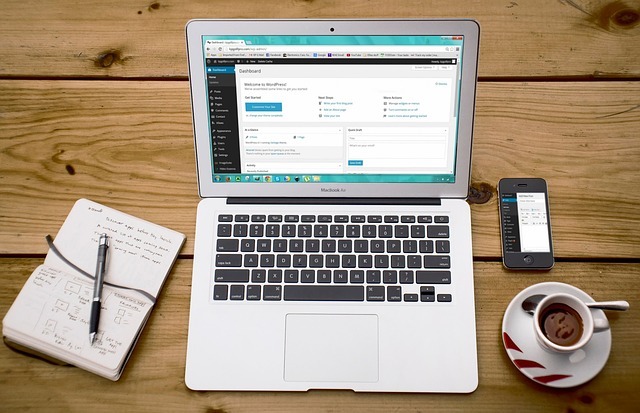 Below are 5 reasons your business should consider a custom WordPress website design. Generally, WordPress sites come packed with templates and functionalities that are different and more applicable than those offered by multitudes of other website builders out there. However, since there are a lot of free templates to choose from, there is going to be a lot of websites that just look the same. In the ultra-competitive world of the internet, a custom design helps you stand out from the rest. You can choose your own theme and layouts, and this helps boost the uniqueness of your brand. Custom WordPress sites have the reputation of being great for SEO. These platforms are generally built to rank high up in the results on Google or Bing. If your audience can find you faster, then that translates to more customers and revenue. Generic websites can leave you dead in the water as far as your online presence is concerned. And if you’re not being seen in the search engines, then more than likely your competition is. A custom WordPress website is a safe professional tool to represent your business. This is because apart from the great coding and user friendliness, there is always the assurance of support. With the popularity of WordPress, you are going to benefit from the services of experienced developers and support professionals if you ever encounter a glitch. Generic templates are relatively easy to manage on WordPress, but they will not offer you the flexibility of change guaranteed by custom templates. Your business will change over time with growth, expansion, and new ideas. You will want a website that can change and grow with you. A custom design can be easily tweaked to meet your needs. As the owner of your business, you are the person most aware of how you want to present yourself to your customers. You know the look and ‘feel’ you want people to exposed to when they first come in contact with your company. With custom WordPress platforms, you can implement your ideas in such a way that they fall in line with your branding strategies and persona. WordPress sites are wildly popular and efficient. However, your business is unique and you’ll want a custom WordPress website that showcases this to your customers.